Accelerate your business with Hertz. Wherever travel takes your employees, we want to make life on the road faster and easier. With Hertz Business Rewards®, you have the competitive advantage with access to free rental days*, our online administrative portal to view rental activity, a dedicated support team, partner benefits and more. Rental prices and billing options designed to fit your company's needs. Freedom to choose from our best fleet ever with Ultimate Choice. Your company can earn free rental days*. We will give you 10 bonus credits for simply enrolling. Access to our exclusive online administrative portal to view rental activity, redeem earned free day certificates and more. Here to answer your questions even before you enroll. Access to a whole range of additional perks beyond car rentals. Employees can enroll in Gold Plus Rewards - our award winning loyalty program for individuals. 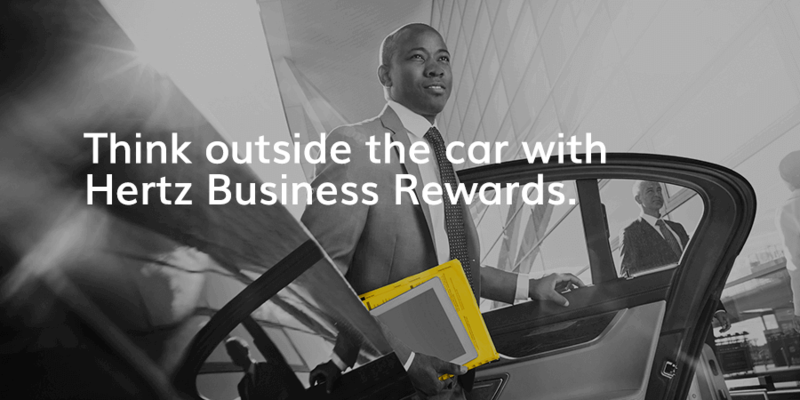 For solo business travelers, Hertz Small Business One is a no membership required program just for you. To learn more about or program visit our Frequently Asked Questions Page. For more information, please review the Program Terms and Conditions.